Steven W. Ritcheson is an avid writer, reader, and traveler. 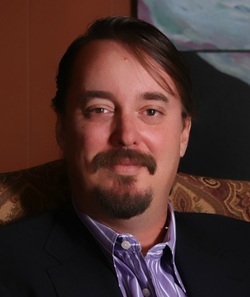 An attorney for 17 years, he has represented numerous clients in the communications and technology sectors. 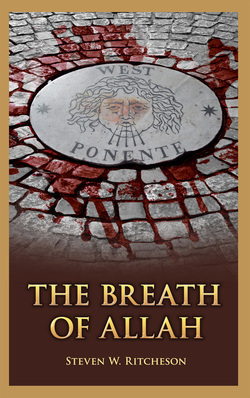 The Breath Of Allah is a novel that draws on his personal experiences during international work and personal travels throughout Europe and the Middle East. Steven is influenced by his love of travel and history, interest in cutting edge technology, and his family’s experiences in government service. The United States has no shortage of enemies. Some attack with technology, others attack in spite of it. If successful, either attack could be devastating. Even if our heroes are flawed and our enemies are sympathetic, our battles must still be fought – and won. Today, we look for our heroes wherever we can find them. Many times, they can be found in the shadowy world of private defense contractors. Comprised of elite intelligence, defense, and technology experts, the Technology Applications Group – known as TAG to its government handlers – creates and deploys tomorrow’s solutions to today’s problems. Through the eyes of its head of operations, Charles Rayson, TAG races from Europe to the Middle East to thwart an attack that could kill thousands and destroy the government of a fragile but critical ally while overcoming treachery from within their ranks, investigation by self-interested politicians, and bureaucratic back stabbing.